You’re mad about coffee. At breakfast, you can’t do without a cup of coffee. While visiting different coffee shops is your favorite on weekends, the situation changes on workdays. You’re pressed for time, and you want to get fresh coffee fast, so even a quick stop at Starbucks isn’t an option for you. Here at Coffeegeeklab, we understand your pain. At first blush, getting a coffee machine for home is logical, but it’s important to switch to a device that offers the flexibility. The solution? Find the best single serve coffee maker for home usage, and you’ll be the happiest human in the world. Moreover, I’m here to share my personal experience of using several one cup coffee makers so that you can make your choice faster. 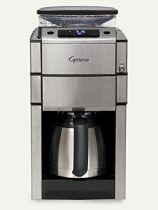 To begin with, it’s essential to explain why the topic of choosing the right coffee maker is timely. Did you know that 79% of coffee lovers drink the beverage in-home? It is not only cheaper but also faster. However, we all know that the quality of coffee depends heavily on barista’s experience and equipment. While experience takes time and practice, finding a good coffee machine isn’t hard if you pay attention to other reviews. And to make the right choice, it’s important to find an easy-to-use device that doesn’t require maintenance. 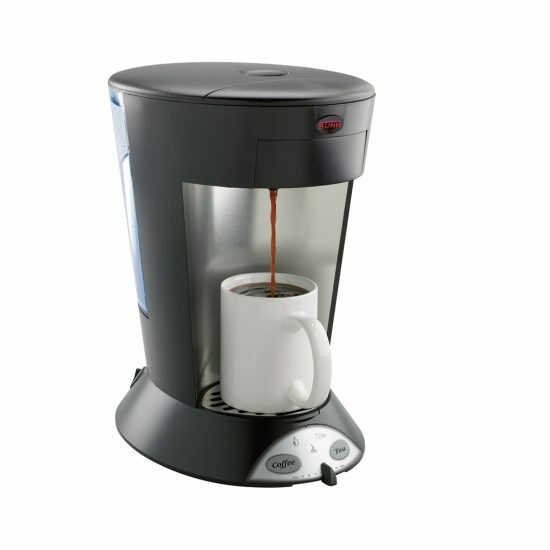 For a variety of reasons, more and more coffee lovers switch to using single serve coffee makers. Have you ever wondered why this device is getting so popular? 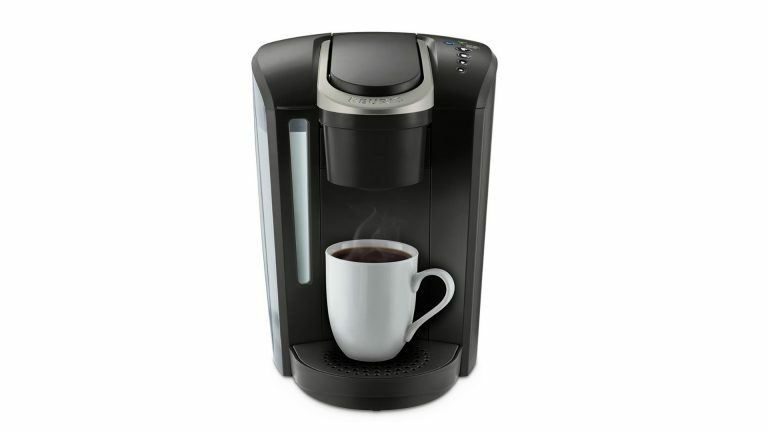 To begin with, a single serve coffee maker is a machine that brews one cup at a time. As a result, it’s always fresh. These makers brew coffee fast with minimal clean-up, so many people are getting interested in this option. In most cases, these machines are more compact in size, but it doesn’t mean sacrificing the quality of your beverage. Most single serve coffee makers offer the choice of cup size and brew strength, so even the pickiest user can get good coffee he or she craves for. 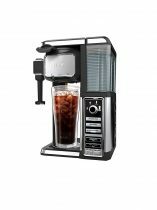 Although most single-serve machines are made for brewing coffee only, there are some devices that are perfect for making teas and iced beverages as well. No matter where you want to drink your coffee, whether at home, office, or even camping, single serve coffee makers are a great choice. If you’re interested in learning more about these wonderful devices, keep on reading. 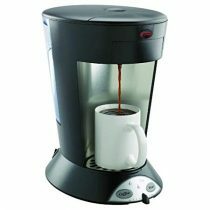 After analyzing the market and reading customers’ reviews, I’ve chosen 7 best one cup coffee makers. Want to know the best part? In this article, I will even give you the recommendation for the top option. But first things first: to understand better why my choice is worth paying attention to, it’s important to read about other best single serve coffee makers I’ve been testing for a while. 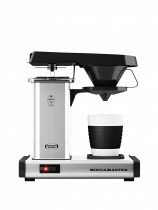 Now, you can take a look at my top choices and see the comparison table to understand what coffee maker you can take into consideration according to your needs and wants. After using all these gadgets for a certain period of time, I’ve written these single cup coffee maker reviews to share with you. $1200 for a single cup coffee maker?! Are you kidding me? Well, it was my first thought when I came across Jura 13626 Ena Micro. However, I wanted to find out more about this coffee maker. If it has a fancy price, it must be a high-quality device with amazing functions. To begin with, this coffee maker has a stylish design that has attracted me. However, functionality matters, too! As a coffee snob, the quality of espresso is important for me. Thus, I wanted to try this coffee as fast as I can. And the best thing about this coffee maker is an opportunity to brew good espresso at home with one press on the button. To tell the truth, it’s as good as espresso in any reputable coffee chain! 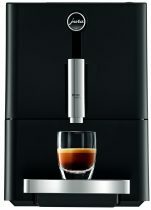 After using Jura Ena Micro for several weeks, I can tell you that it doesn’t have extraordinary functions and it brews coffee only, but it’s eco-friendly and it saves energy. It also looks like a high-quality design, but it ’s impossible to understand more about the durability of any device in two weeks of usage. Thus, I’ve decided to rely on other customers. After analyzing hundreds of online reviews, I’ve come to the conclusion this Jura Ena Micro can work many years without any issues. For me, quality plays a key role, so it gives extra points to the coffee machine. If you’re in clover, this coffee maker is a perfect device for you that can last long years. Since I’m a minimalist who believes in the power of ‘less is more’ phrase, I couldn’t afford to skip Bunn My Cafe Pourover machine when I found it on the internet. The combination of its simple design and compact size was perfect for me. However, coffee quality matters. 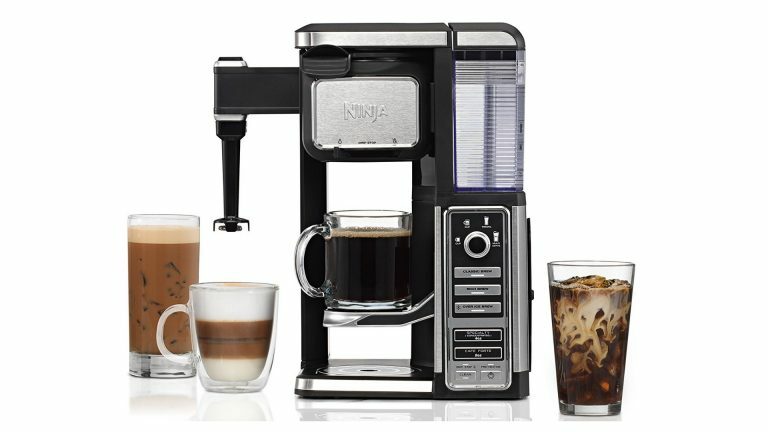 The first thing I’ve mentioned about this machine is its speed – it brews coffee just in 30 seconds. If you love tea, this machine can fit your needs, too – press one of two buttons (coffee or tea) to get your favorite beverage really fast. After using this coffee machine for a week, I can tell you for sure – this machine is low maintenance and easy-to-use. It’s always hard for me to wake up in the morning. A cup of coffee is my remedy I can’t live without, and it’s the first thing I do every morning. 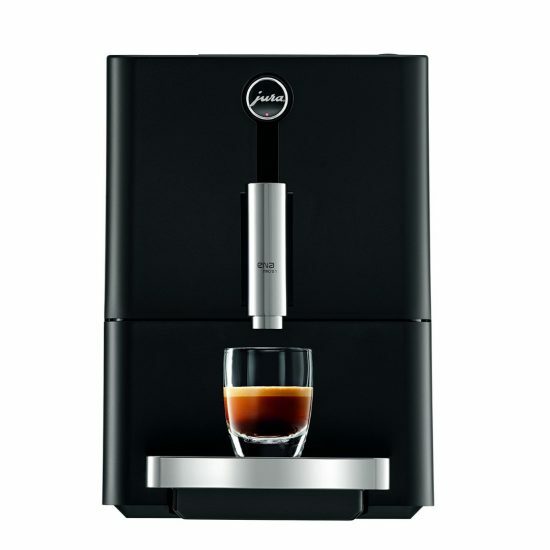 Thus, I wanted to try Capresso CoffeeTEAM PRO Plus with its programmable auto-on time feature. Who else wants to wake up and drink your first cup of coffee immediately? Well, it’s not the only one benefit this coffee maker has. If you’re in a hurry and you tend to forget switch off gadgets (ooops), this machine has automatic shut-off mode, too! Obviously, this coffee machine has some disadvantages. For example, I don’t like its water tank capacity (32 fl.oz) because I drink coffee often, and I need to refill the machine. However, if you live alone or you’re the only person who drinks coffee in your family, it may be fine for you. Look through my list of pros and cons to understand whether you should take Capresso CoffeeTEAM PRO Plus into consideration. So, wouldn’t it be great if you could program your coffee machine to start brewing automatically up to 24 hours in advance? Don’t waste your time and order your ‘home barista’ now! When I first found this coffee maker on the net, I couldn’t believe its water reservoir is enough for one cup only. However, I surprised at the fact that the machine comes with 5(!) year warranty from the manufacturers. 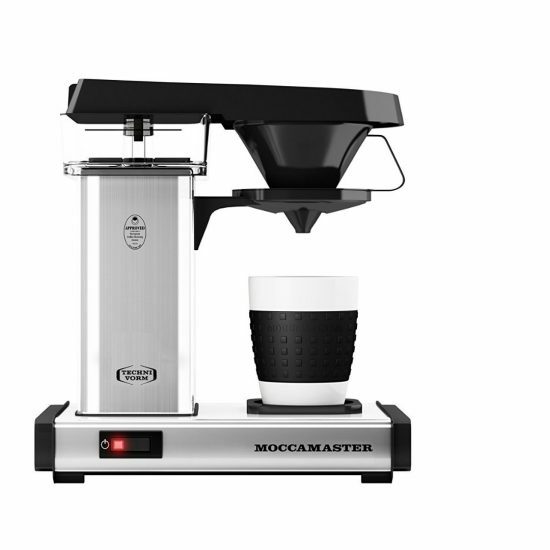 For me, it’s a sign of quality, so I’ve decided to examine this Technivorm Moccamaster 69212. Let’s go straight to the point: brews good coffee, but it works too slowly for me. 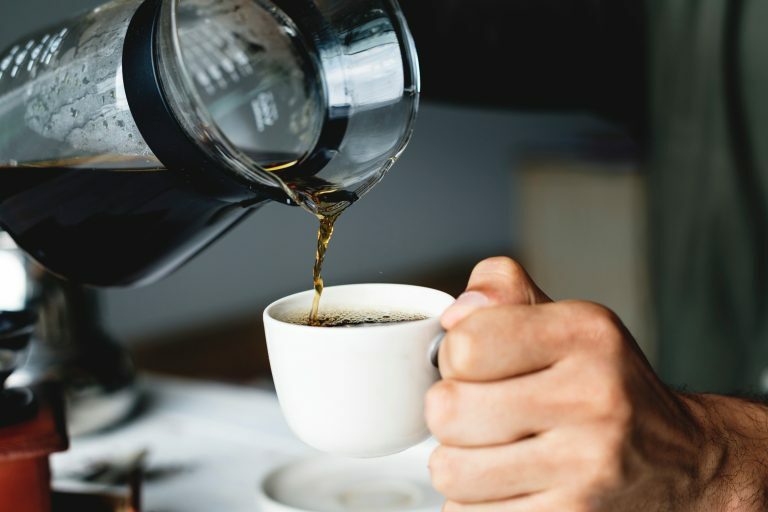 The brewing process takes around 4 minutes: while it’s fine to wait for your coffee at home, it can be annoying if you want to use this coffee maker at work and a group of your colleagues is waiting for their morning coffee. On the other hand, this machine is perfect for brewing coffee right in your favorite mug as it has a removable cup holder. It’s harsh but true: modern devices attract my attention. With a big number of smart functions, Ninja Single-Serve CF112 is a decent option on the market. Moreover, I’m a big latte fan, so I love experimenting with different coffee beverages – 5 brew types and a 40 recipe book have stolen my heart. The Ninja company keeps up with the modern technologies, so they always try to improve their coffee machines. From auto-IG feature to intelligent clean function, Ninja single-serve CF112 has many modern features that make the life easier for customers – the machine can do many things for you! Plus, it’s perfect for brewing 4 cup sizes which means all members of your family can choose the volume and brew coffee right in their favorite mug with multi-serve cup platform. Classic, rich, or over ice brew? No need to choose now! With Ninja Single-Serve CF112, you can brew coffee type you’re in the mood for. Who else wants to get a good stylish coffee maker without spending big bucks? To tell the truth, this combination is right for me, and it’s the main reason why Keuring K-select has caught my eye. Among many pod coffee makers, Keuring K-select has gained popularity and loyalty from many satisfied customers who leave positive reviews online. As a result, I have decided to use it for 2 weeks and see whether this machine is really so great. 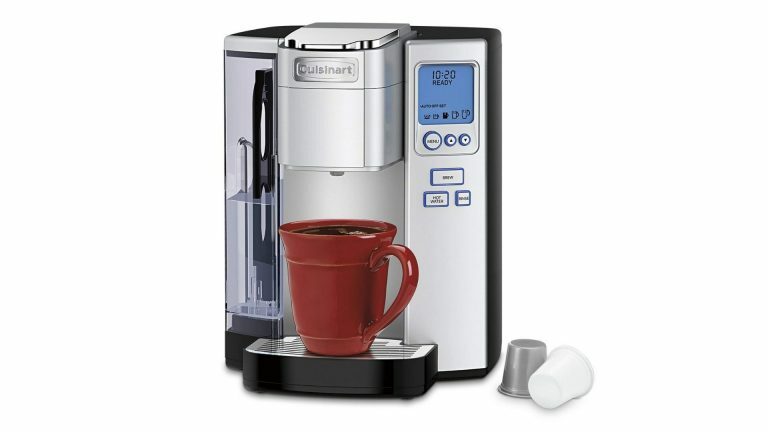 To my surprise, this single serve coffee maker has many features – auto-off mode, strength control, brew cup sizes, and large water tank capacity that allows users to brew several cups of coffee in a row. What is more, it’s perfect for other beverages like tea, iced coffee drinks, or cocoa. Since I have a big family who visits me every weekend, it’s important for me to have a device that can brew beverages for any taste. For a variety of reasons, it’s a great coffee maker worth paying attention to. If you dream about a reliable coffee maker with a great number of functions, but you work hard to make ends meet – Keuring K-select is right for you! Does the cheap price mean low quality? To tell the truth, I couldn’t believe such a cheap coffee machine could have so many modern features! 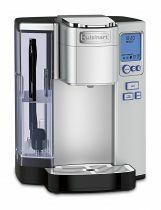 From large water tank capacity to programmed modes, Cuisinart SS 10 seemed to be a good alternative to other pricey coffee machines on the market. Why bother about this coffee machine? 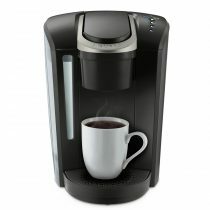 If you live with your groupmates or have a big family, it’s just perfect for you – large water tank capacity (72 fl.oz), 5 brew sizes available, and a possibility to brew coffee, tea or hot cocoa – prove this machine can satisfy every consumer’s needs (even if he or she doesn’t drink coffee). Are you a student who lives with groupmates? Perfect! Affordable Cuisinart SS 10 Premium is what you need! Regular equipment cleaning and maintenance is a must. It’s harsh but true: the quality of your coffee depends on the beans, water, and your coffee machine cleanliness. If you want to drink better coffee day after day, it’s important to take care of your device and keep it clean. Moreover, it’s a proven way to make your coffee machine last longer without costly repairs. The good news? Single serve coffee makers want low maintenance, so cleaning these machines won’t take much time or effort. No matter what single serve coffee maker you have, the following tips can help you keep it clean. Switch the coffee maker off and unplug it for safety reasons. Take off removable pieces (the water tank, K-cup holder and the tray). Use soapy water to hand wash these elements. Take a soft microfiber cloth to wipe the machine. Drip dry all the elements and plug it back. Fill the water tank with descaling kit to descale the coffee machine. Switch the machine on and run a cycle without inserting a K cup. Use water and run a cycle without a K cup again to get rid of the smell of vinegar. Refill the reservoir with fresh water. There’s no need to spend money on buying branded descaling & cleaning kits as you can take a new toothbrush for cleaning and use the vinegar and water mixture for removing hard water deposits fast. As you can see, the cleaning process is quite simple, so it’s an easy way to take care of your coffee maker and ensure it delivers the coffee you love. No matter how expensive your coffee maker is, something can go wrong with it spontaneously. Yes, even best single serve coffee makers can stop working without any reason. Is there something wrong with your single serve coffee maker? Don’t hasten to call for help – read the user’s manual and find solutions to common problems with your device you can solve manually. If you’re a coffee lover, you must want to have a possibility to brew fresh and flavorful coffee at home. Thus, many users start looking for home coffee makers, sooner or later. 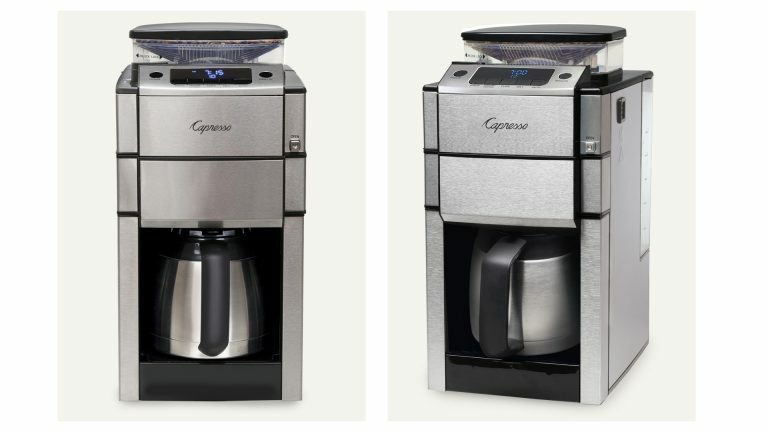 However, the variety of coffee machines is so big that it’s important to understand why single serve coffee makers may meet your needs better. 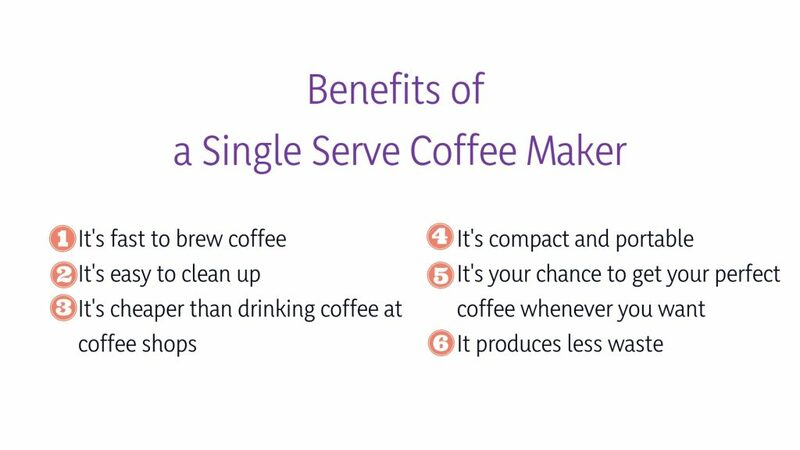 Based on customers’ reviews and my own experience, I’ve found several benefits of using single serve coffee makers. So, what reasons can make single serve coffee makers a better choice for coffee lovers? The machine doesn’t work. If you can’t switch on your device, check the following the power switches position and try to repeat the action. The device is leaking. If you find fresh water somewhere near your brewer, it’s time to find whether your device is dripping – clean or change the filters, check the tightness of a spray head tube, ensure all elements are on their places. The water isn’t hot enough. To brew good coffee, the water temperature should be high enough. If your coffee isn’t hot enough, check for proper voltage as it should be 120VAC/240VAC. If you still need help, check out whether you have the warranty and find the contact information to get in touch with the customer support. Turn to professionals to make your coffee maker last longer. Fast brewing. Brewing one cup at a time, you can get your fresh coffee fast. What is more, the water heats up faster due to the smaller water tank capacity, and it doesn’t take much time to get your machine start working even after unplugging. Low maintenance and easy cleaning up. 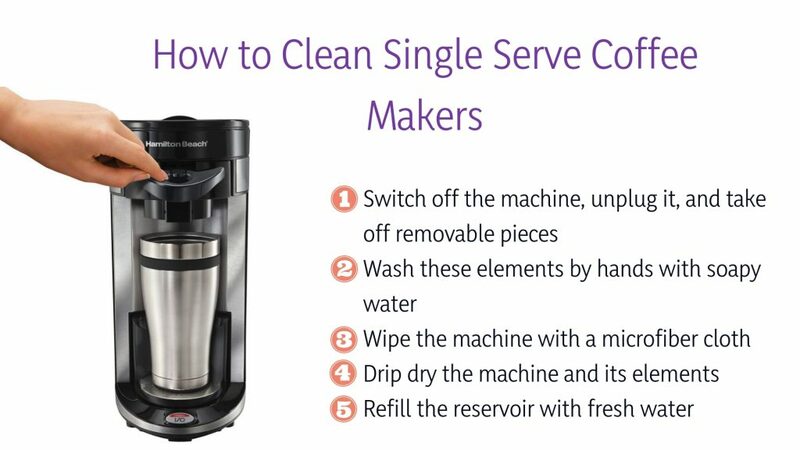 Single serve coffee makers are the easiest to clean, and taking care of it is simple – just follow the instructions to descale your machine from time to time. Cost-effectiveness. Although coffee makers can seem to be expensive, they help to save money over the long haul. Most coffee makers come with a built-in filter so you don’t have to spend money on buying filters. Compact sizes and portability. In most cases, single-serve machines are more compact so they require less space. Plus, it’s easier to take them while traveling, camping, or working at an office. Instant coffee. When you’re a single serve coffee maker owner, you can get your perfect cup of coffee whenever you need with a click of a few buttons. Less waste. When you brew one cup of coffee at a time, you drink it fresh and hot. Since it’s always fresh and you brew as many cups as you need, it will never go stale. As a result, you waste less coffee and water. Moreover, a permanent filter means less waste, too. Doubtless, there are many advantages of having a single serve coffee maker at home. I hope you’ve found reasons for getting your machine, too. Phew, I haven’t thought the market has so many options for people who are looking for the best single cup coffee makers. From $100 to over $1000 price variety, there are different options for any taste and budget. After testing 7 coffee makers and reading thousands online reviews, I have come to conclusion. However, don’t judge me! It’s my verdict and it doesn’t have to be the same as yours. The verdict: Ninja Single-Serve CF112 is my choice as the reputable manufacturer has put much effort into creating the high-quality coffee machine with many great functions. What is more, it’s affordable! The truth to be told: it was extremely difficult to select the best single cup coffee maker among the above-mentioned models. And I still want to hear what you think about the options on the market.